We are fully committed to provide every customer with a superior guttering service consisting of guttering repairs, guttering replacements, gutter maintenance, gutter cleaning and fascia/soffit board installations. 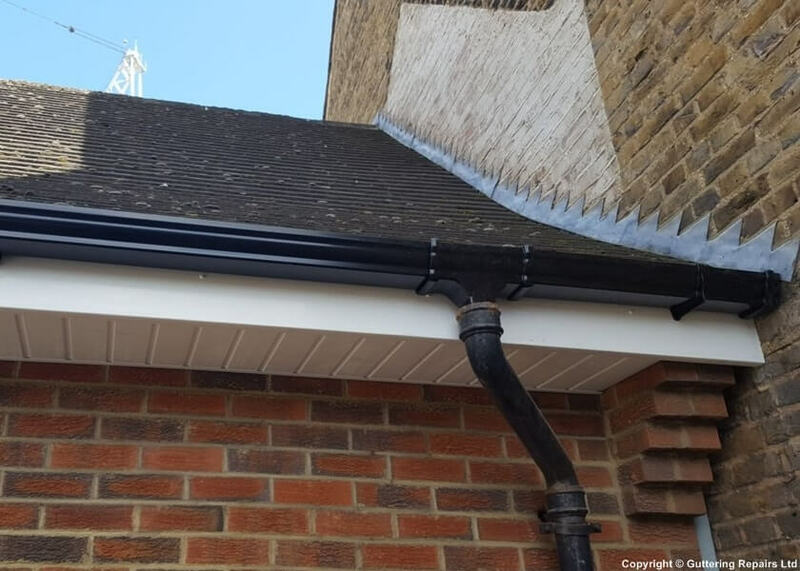 East Gutter Services has been providing exceptional guttering services throughout Rickmansworth and surrounding areas for over twenty years. From gutter repairs to complete guttering installation, our guttering company has the capability of solving any of the guttering problems that plague residential properties. For a free estimate with no obligation please give us a call - No guttering job is too small. WOW! Rapid, responsive and super competitive. When i had been previously advised of the need for scaffolding and a mega quote, the guys came in and delivered the job quickly, efficiently and at an irresistible rate! Highly recommended. Fabulous job done! Tony turned up, gave me a quote there and then, booked in the following week, done the job and it was a good one what more is there to say! Great reliable service, thank you. An excellent service and repair provided by Tony. Very happy to recommend his services in future. I was delighted with the service that I received from Tony and Guttering Repairs. Will be recommending to all my friends and colleagues. Fantastic service, Thank you. The repair was done very quick and very well. I would most definitely recommend him. Could not be happier with the service Tony provided, he was quick and very helpful, would definitely recommend!!!! Tony was great! He double checked everything before starting the work. When finished he showed me all he had done and made sure that I was happy with everything before taking payment. He also did a small additional repair at no extra cost. Will definitely use him again in the future. Very experienced, competent, reassuring, excellent time keeping, quite pricey but worth it to me to have the benefit of his long experience.